It should only be a week or two before we hear from the Swartland Municipality and (hopefully) receive our signed plans. 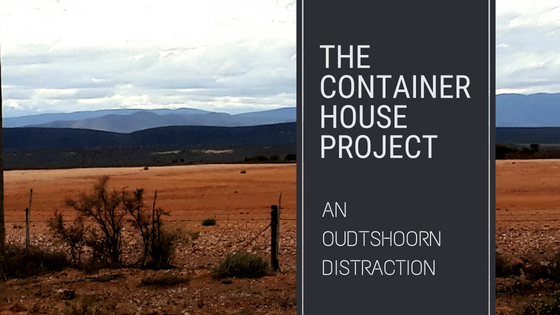 In order to distract ourselves from the impatience of having to wait before we can begin building work on the container house project, we decided to take a week off work and go away on a short holiday. Kevin and I usually take a week off in winter and go away for a bit so the timing worked out quite well. One of our favourite places to go away for a break is Oudtshoorn.